You say I have a problem; I say I’m a collector. 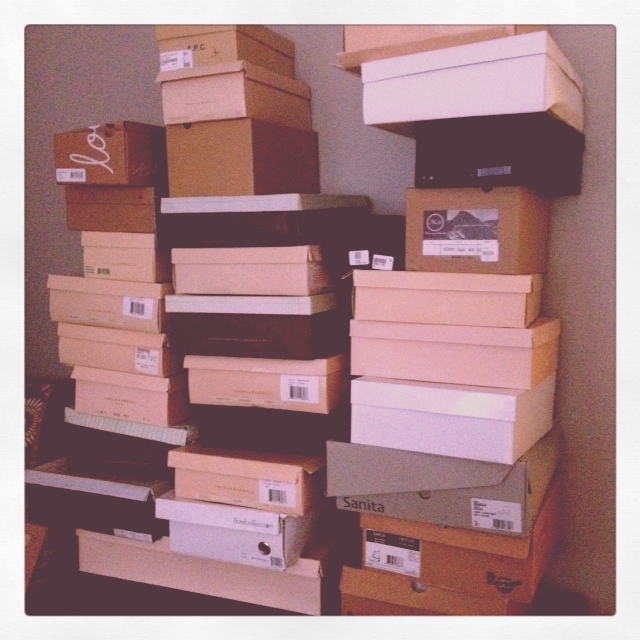 On occasion, someone will ask if it’s hard for me to find shoes. (This person is typically a massage therapist or pedicurist–someone intimately acquainted with my feet at the time.) And while it’s true, having K-T paws when I was little made shoe-shopping more difficult because a) there were fewer options and b) I was still only a *budding* fashionista, not yet a full-fledged one (the shopping thing is a gene in my family–it was never not there), things have gotten easier as I’ve grown up. Much easier. TOO-much easier. This is my room. I’m not even showing you my closet.